Rolando was born on October 7, 1952 in Tanay, Rizal. He finished Fine Arts at FEATI University. 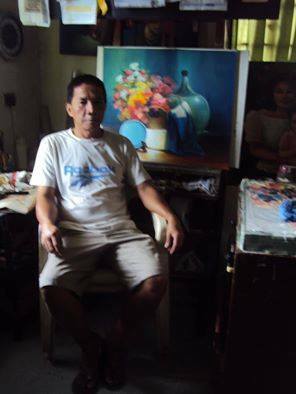 He was one of the organizers of Tanay Contemporary Artists and served as their president for sometime. He was commissioned by Heritage Hotel to do 27 floral artworks in their lobby. He held 5 solo exhibitions in Gallery Blue, SM Megamall and Gallery 139. He also participated in several group exhibits including “100 Years, 100 Artists” at the CCP and “Environmental and Natural Resources” at the DENR Bldg.